Kevin began his career as a lover of all sports. He always did a typical gym routine but needed more of a challenge. He started CrossFit three years ago after being pushed by his mother and brother to try it out. He has stuck with it ever since, enjoying the challenges it provides and the ability to always work towards achieving one’s goals. 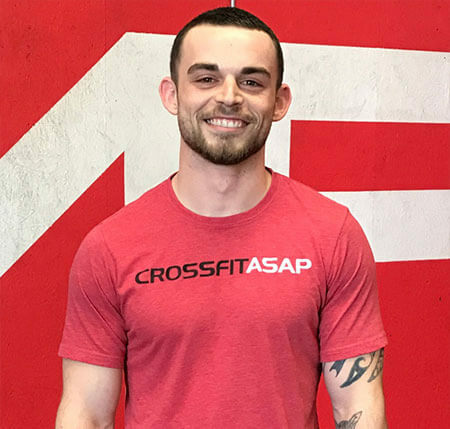 Kevin has now been coaching for over a year, and his prior experience as an athlete has helped him become a better trainer. He enjoys helping members find ways to improve their movements and techniques. His loves pushing every athlete to their fullest potential and help them accomplish their goals!